Mansfield has been scratching it’s way through the 2019 track season. Depleted by graduation, injuries, and off the field discipline issues, the pair of senior high teams have continued to move forward. 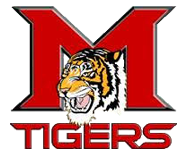 The close of a busy week gave evidence that the MHS squads are making progress despite the stacked against odds of a small team. Both the men and women finished in third place overall in the team points race at their second hosted meet of the season on April 4. The ladies also took fourth at the Bearcat relays on the previous Monday. The Tiger men were sixth at that meet. Tiger Artem Zirka again pulled the heavy load for the Tigers. The exchange student ran 3.5 miles or more at both meets to earn valuable points. At Mansfield, Zirka medaled twice. He went 5:26.85 in the 1600m for second place. He went 2:24.62 in the 800m for third. Zirka proved his conditioning by completing the 3200m Mansfield run for fourth place before running anchor on the 4x400m relay moments later. Renden Emery and Jaicy Griffin produced as well taking care of business in the many of the other events. Emery handled the high jump, triple jump, both hurdles, and two relays. Griffin covered the sprints, long jump, and two relays as well. Emery had scoring marks in all of his events over both nights. Griffin did well at Booneville but suffered another set back in his on going knee issues to register a DNP at Mansfield. Jacob Brown took his first winner’s medal with a 111’ 1” toss of the discus. The Tiger junior has been consistently pushing beyond the 100 foot barrier for solid marks this season. This was his first gold medal of his career. Bri Sanderson nearly made it a sweep in the men throws with a second place position in the shot put. The tenth grader sent the 12 pound implement 41’ 6”. Senior Sara Willadsen broke through in the sprint department for the Lady Tigers. The Hartford transfer was all Tiger as she scored in the 100m and 200m dashes in consecutive meets. She was also part of the 4x100m and 4x400m scoring relays for Mansfield. Makayla Strutton, Delilah McKusker, and Lennon Woods joined Willadsen for those relay encounters. Addison Goetz also joined the baton passing party at the Mansfield hosted 4x400m relay. Strutton went 18.44 in the 100m hurdles at Mansfield. She went 18.40 in the same barrier race at Booneville. The two times knocked out fourth and fifth places respectively. McKusker ran her season best in the 300m hurdles with a time of 56.03 in front of the home crowd. Woods was the fastest Lady Tiger over the same style hurdles at the Bearcat in 55.90. Senior Haylee Buckner continued her string of scoring in the women’s high jump. She placed third at BHS and second at MHS. Her top bar was 4’ 9” at the home meet. Sophomores Randall Claude and Victor Steffen picked up their first individual ribbons of the season. Claude’s success came in the 200m dash while Steffen’s came over the 300m hurdles. Senior Hailey Byers also found her first individual accolades with top eight marks in the 200m and 400mm dashes. Freshman Darby Jones who recently moved up to support a thin Lady Tiger distance unit also scored her first ribbons. Alyssa Berry saw her first action since the Tiger Relays on March 26. The senior scored in the pole vault, 1600m, and 3200m runs. Janna Coplin, Hailey Burns, and Miracle Pettigrew each contributed points in one or both meets of the past week. Coplin has been a discus specialist most of the year. Burns and Pettigrew have been throwing both shot and discus. The later two both set personal throwing records this past week.